For many Canadians, the financial debacle is not a rare problem. Rather, it’s a regular source of stress, anxiety, and pain. The uncertainty of today’s economy is partially responsible for the major financial crisis. There’s no point panicking during the crisis period. 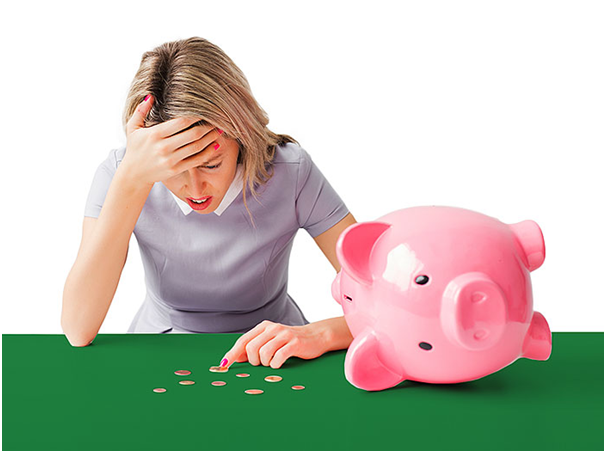 It’s important to know how you can solve financial issues which have thrown you into a big trouble. Remember, you are not alone facing such challenges. Managing your income and expenses are one of the crucial tasks. However, most people invite such monetary crisis on their own. Their reckless lifestyle, craving for restaurant food, passion for cars, and many more unplanned and unnecessary expenses lead to major financial debacles. The less you spend money on luxury goods the more you can enjoy life with your peace of mind. Here’s how you can get motivated to tackle your finances strategically and reduce your stress substantially. Identify the stress point: What is giving you sleepless nights, your realization that you have already invested a lump sum amount and hardly leaving any savings for the future or you are already in a debt? It’s important for you to identify the trouble and then, try to find out a solution. Your income has a big role to pay when it comes to any monetary problem. Don’t go for investment unless you have a steady income. Think positively: There’s no hurdle that you can’t cross when you have your peace of mind. This positive mindset will help you solve your problem. First, jot down your expense and figure out how much you can save monthly. If your income is insufficient to handle the crisis, you always have a choice to take up a part-time job. However, reducing unnecessary bills on shopping and luxury living will help you a lot. Be pragmatic: There are certain financial problems that can appear without any warning. Your savings can help you bear the financial loss. Don’t spend your money as a flamboyant person while leading a family life. You have certain responsibilities and that’s why you need to be a bit careful about your cost of living. For example, if you are a repulsive buyer, set a limit on your credit card usage for the daily expense. Think about a monthly saving plan and curtail your unnecessary expenditure. Start with small investment: You may fail to curtail your expenses by $100 but if you try you may achieve it in the next three-four months. Sticking to a fixed budget is not that simple. So it’s advisable for you to examine your spending pattern and focus on your daily savings. You can skip your weekly visit to the nearest food joint or the shopping mall to achieve the saving target efficiently. Spend wisely: There’s a subtle difference between comfort and luxury. When you have a financial crunch you have to choose comfort over luxury. To lead a stress-free life, try to spend most of your income wisely. If have any trouble managing your debt, you can contact EmpireOne Credit Solutions Inc. they offer comprehensive debt solutions to their countless clients.